Glen T. Martin, Ph.D., is a professor of philosophy at Radford University in Virginia and chair of its peace studies program. Dr. Martin began his peacework as a conscientious objector to the war in Vietnam. Since then he has devoted his life to the service of world peace with justice, travelling and lecturing worldwide and authoring many books and articles on behalf of a holistic and transformed global paradigm and world system. 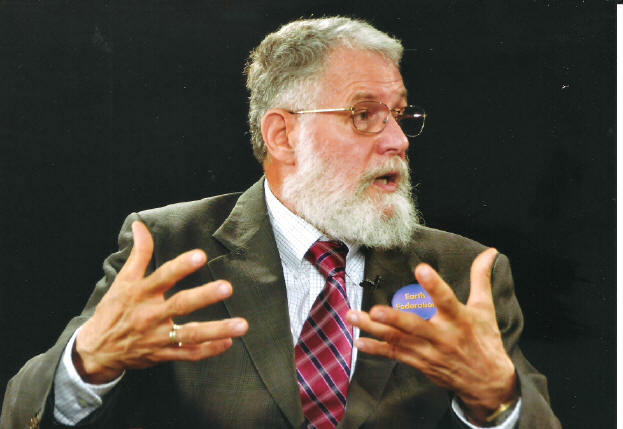 Among his numerous affiliations, Martin is president of International Philosophers for Peace (IPPNO) and president of the World Constitution and Parliament Association (WCPA), the world’s leading advocate for a constitution for a democratic federal world government. As a result of his decades of peace activities, Martin has received several international awards, including the “World Peace Award” from the Office of the World Peace Envoy in Bangkok, Thailand, 2008 and the Gusi International Peace Prize in Manila, Philippines, 2013. He has also been nominated for the Mahatma Gandhi Peace Award. His books include Millennium Dawn: The Philosophy of Planetary Crisis and Human Liberation (2005), Ascent to Freedom: Practical and Philosophical Foundations of Democratic World Law (2008), Triumph of Civilization: Democracy, Nonviolence, and the Piloting of Spaceship Earth (2010), The Anatomy of a Sustainable World: Our Choice between Climate Change or System Change (2013), and Global Democracy and Human Self-Transcendence: The Power of The Future for Planetary Transformation (2018).